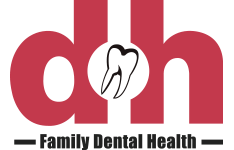 At family dental health we make it a priority to assist and address a wide variety of dental concerns brought to us by our equally diverse clients. Since our teeth and tissues are very much alive, they rely on an interdependent system within the oral cavity to work together to keep our teeth and bones as well as are soft tissues healthy and operating comfortably. When dental concerns arise, they can have significant impact on the level of comfort and lifestyle of our patients. Dental concerns can impact our ability to consume a varied diet, sleep comfortably, speak clearly and can even have implications for our overall systemic health. Traditionally, dentists have looked to full or partial dentures as well as dental bridges to maintain the appearance and function of the dental arches when teeth have been lost or removed. While these procedures offer many benefits to the patient, there are trade-offs in any restoration that attempts to perform as a natural tooth would. Many of those trade-offs have been eliminated with the emergence of dental implant technology. In order to understand what a dental implant is and how it functions, we should first contrast it with its alternatives, such as bridges or dentures. Bridges and dentures are useful when a tooth or many teeth have been lost, as they serve to replace the biting surface of the lost tooth or teeth, and therefore offer surface area in order to chew our food efficiently. Bridges and dentures also offer aesthetic relief from gaps in the dental arches and may prevent the migration of other teeth into the area where the natural tooth has been lost. While bridges and dentures sit on top of the gum line, they do not anchor into the bony structure of the jaw the way a dental implant does. Dental implants are completed in two appointments. The first appointment involves installing a titanium rod or artificial root in the gum tissue and anchoring it into the bony structure of the jaw. Once the artificial root and surrounding tissues have healed sufficiently, the second appointment attaches the artificial root to an artificial tooth known as a pontic. Pontics are similar to crowns, however a pontic replaces the entirety of the natural tooth whereas a crown replaces only the exterior of the tooth and maintains a portion of the natural tooth inside. The pontic is attached to the titanium implant with something called an abutment. Once in place, the dental implant looks and behaves like a natural tooth. Dental implants may also be used for full or partial dentures, where several implants may be used along the dental arches to secure a series of artificial teeth. In this case, not all of the artificial teeth will be anchored into the jaw, but the implants work to distribute bite forces evenly across the dental arches in a far more evenly distributed manner than would traditional dentures. Dental Implants are created to look like your natural teeth to ensure that they will blend in with your natural teeth. Dental Implants are cared for just the same as you would your natural teeth, thru daily oral care and regular dental check ups. In Alberta, dental implant costs can range from $2000 to $4000 per implant, depending upon the client’s dental circumstances, clinic fee schedule and the cost of materials required. While dental implants do require a financial investment, the benefits offered by this procedure can be seen as a long-term investment in your oral health. If dental pontics look and feel similar to dental bridges or dentures, why are so many of our clients opting for implants? The truth is, the benefits of dental implants go far beyond just the aesthetic presentation of this restoration. When teeth are lost or removed, the resulting space left behind is reflected in the space in the jaw bone where the root used to be anchored. While at first this may seem inconsequential, the reality is that we now know that once a tooth is removed, the area of the jaw bone that held the root can begin to resorb (degrade) in as little as 6 months. This is often to blame for ill-fitting dentures that struggle to stay in place as the jaw bone that supports it literally begins to deteriorate. This occurs due to a lack of bite force stimulation into the jaw. Under natural circumstances, the roots of our teeth stimulate our jaw bones to remineralize every time we take a bite and chew our food. Without this stimulation, the structure of the jaw begins to degrade, and the profile and general appearance of the lower face can be impacted as a result. Dental implants restore the ability to trigger bone remineralization in order to maintain the structure and strength of your jaw for years to come. If you think that dental implants may be right for you, we encourage you to book an appointment to discuss this with one of our dentists. Contact our dental clinic in Whitecourt to learn more. All services performed by a general dentist.